Jim Lied, publisher of Fort Thomas Living for 40 years, and his wife, Karen. For 40 years Fort Thomas residents have turned to Fort Thomas Living magazine for stories about their community. With a focus on positive news, it is within this humble, black-and-white publication where neighbors have spent years learning more about their neighbors—the basements artists, the community events they’ve planned, the awards they’ve won, the businesses they’ve opened. And for 40 years Fort Thomas resident Jim Lied, along with others, has made sure that Fort Thomas Living—as well as other Living magazines through the Cincinnati and Northern Kentucky area—has made its way to mailboxes and coffee tables every month. 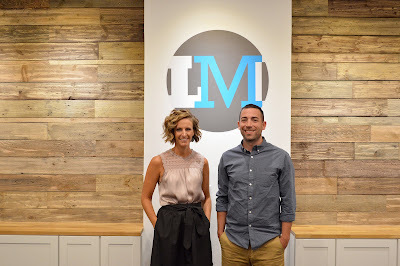 In April, Lied sold what is now called Living Magazines Inc. to Fort Thomas Matters Editor Mark Collier and Living Magazines Chief Operations Officer Erin Sendelbach. “We are going to stay true to our roots, which has always been to tell the inside story of a community better than anyone else can and to do it in a positive manner,” Collier says. But before we get to the future of Living Magazines, first, a look at the past. Fort Thomas Living began with a shared cup of coffee in the basement of St. Andrews Church in Fort Thomas in 1976. Peter Baker, a trained journalist selling insurance, and Lied, then director of audio-visual support services for the University of Cincinnati, were discussing the lack of a weekly newspaper in Campbell County. The long-held assumption was that because the mafia had been so strong in the area in the years’ prior, no one was willing to publish a hyper-local paper. But Lied was curious if it could work. He priced out what it would take to publish a weekly paper. The result? $30,000. A month. It wasn’t doable. But several other important things happened during this time. Lied teamed up with John Trojanski, a colleague at U.C., and formed MarketHouse Inc., a company created to publish books and newsletters. And Lied, while visiting family in Los Angeles, stumbled upon a neighborhood monthly magazine. He put some numbers together and realized that if they published monthly, and sold subscriptions, they wouldn’t need as much cash up front. It could work. Baker served as editor. Lied served as publisher, but also hand drew all the art, including the covers and advertisements. The first issue launched spring 1977. Trojanski left the area soon after the magazine started. Lied and Baker worked on the magazine in addition to their full-time jobs. Their daughters helped with delivery. Baker’s wife, Kenny, served as office manager and managed accounts. Ginny Deckert sold advertisements. Ray Duff, Bill Thomas and Steve Sparks worked with Baker on the editorial side of things. Lied designed every issue and prepared it for press. In 1981, Lied and his wife, Karen, bought out the Hyde Park-based interior design business Karen had been working at since 1974. With that Lied and his team had two offices to work from—one in Hyde Park and one in Fort Thomas. In 1981 Anderson Living was born (and Living Magazine Inc. became a new corporation, Community Publications Inc.), followed by Hyde Park Living in 1982. From the very beginning, all freelance writers and advertising sales representatives were paid. With growth, part-time and full-time employees were added. And in 1985 Lied quit his job at the university and joined Community Publications full time. They experimented with many different magazines, including Downtown Living, Montgomery Living, Western Hills Living, Blue Ash Living, Clifton Living, Forest Park Living and Oakwood Living (a suburb in Dayton). For years folks have run into Lied at the grocery, thanking them for including their child in the magazine. In the 1990s technology began to change. Lied experimented with a new digital press called Docutect, offered by Xerox, but it proved to be too expensive. During this time Lied established a new company on his own called MicroPress Inc., with offices in Bellevue. The Hyde Park and Fort Thomas offices of Community Publications both closed and operations were combined at the Bellevue space. At this time Baker was ready to leave and sold Lied his shares in the company. New offset printing presses, bindery equipment and image-setting technology were purchased, allowing the magazines to be produced in-house much more inexpensively. In the years that followed, many staff changes took place and the company consolidated to six magazines: Fort Thomas, Fort Mitchell, Hyde Park, Indian Hill, Sycamore and Wyoming. In May 2006 the company went completely digital with the purchase of two used Kodak DigiMasters, which printed, folded, stitched and labeled an entire magazine quickly and in-house. But they had equipment—expensive equipment—to pay for. By 2012, Lied was the only full-time person on staff, and he was not drawing a salary. But he pushed forward. And things gradually got better—much better. Revenues were up and five magazines survived. Lied stressed that the success of Fort Thomas Living, though, was started by three key people in the late 1970s and into the 1980s and 1990s. “Their work made the magazine a hit,” he says. “All three have now passed, but their legacy is strong. Baker was my partner in Fort Thomas Living and Community Publications up to 2000 when he retired. His part of the business was the editorial management for not only Fort Thomas Living, but the other magazines as well. He also liked to run advertising contests for all the magazines too. “Duff's contribution to Fort Thomas Living was stellar. With her inside knowledge of the town, everyone had a chance to be on the cover. And her recipes from Fort Thomas people were a big hit. As I mentioned, she was the bridge between what then were two separate communities. “Deckert made the advertising work. She was persistent in those early days to make Fort Thomas Living bigger and better. Her success was the reason we could grow the company and the amount of news printed. Although Collier and Sendelbach now own Living Magazines, Lied still plans to work with them, particularly on the book publishing side of things. He plans to focus on the aspects of the work he enjoys most—book artwork, design and layout, and painting, which he does weekly in his Bellevue studio with a group of friends. 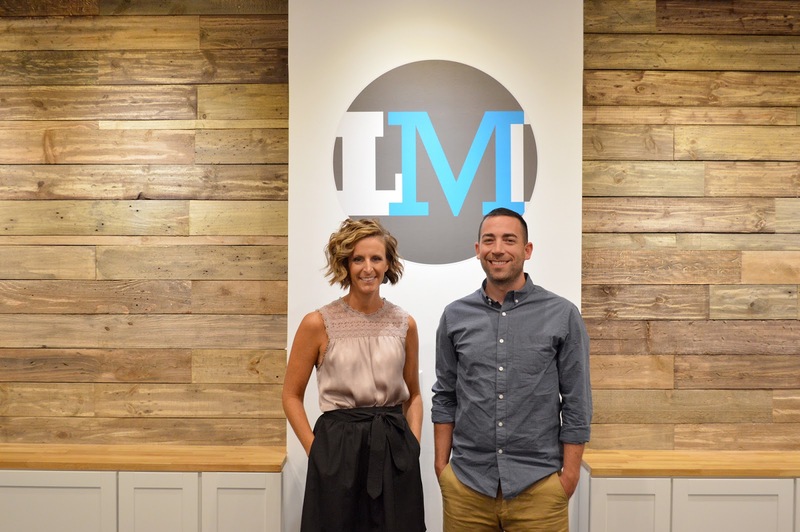 Erin Sendelbach and Mark Collier, the new owners of Living Magazines Inc.
Today, Collier and Sendelbach are 50/50 partners. They’ve moved the offices to the Central Business District of Fort Thomas, in the Hiland Building, next door to Fort Thomas Independent Schools’ Board Office and down the street from City Hall. Living Media is their Public Relations and Marketing wing, which will provide a full-service operation to big and small companies alike. Collier said the platforms that they are able to place their clients work onto is their differentiator. "Most PR firms goal is to get their client seen," he said. "Living Media has widely read publications in-house. It's a game-changer for our client roster." In addition to publishing Living magazines in Fort Thomas, Fort Mitchell, Indian Hill, Hyde Park and Wyoming, the two will also publish custom books out of Micropress, which is now under the Living banner. They can handle the design, layout, print and publishing of books by authors who want to self-publish. Most recently, they have helped Kenney Shields publish his autobiography. They also can handle custom printing jobs as well: business cards, invitations and newsletters. Collier says that running those platforms at a high level and figuring out how to leverage social platforms has helped him figure out how to position advertisers in the best light, which paved the way to Collier and Sendelbach’s entry into public relations and marketing. Collier says that he has no doubt that they are the publications of record in the communities they serve. “It’s because we know our communities more intimately than bigger news organizations ever could,” he says. “We literally saturate these markets with good news and make it very difficult for our competitors to compete because we simply care more. You can’t fake that. When people tell me print is dead, I disagree. It's just that the business model that newspapers and magazines with a broad scope needs to change. But there are companies with our same mission that are thriving nationally. And so, Fort Thomas Matters, Fort Thomas Living, as well as all the other Living magazines will continue, with an optimistic look toward the future and deep dedication to continue delivering good, hyper-local news to community member’s mailboxes and coffee tables every month. What a great article about a great business! It's been a privilege to work with The Living Magazines for the past 20 years, and exciting to be part of the new era of the business. Best wishes for continuing success! Wonderful article! It was an honor to contribute editorial cartoons to accompany Ray Duff's stories throughout the 80's. Very exciting times. I'm so grateful to Ginny Deckert for introducing me to this great enterprise and hope it continues to serve my hometown for years to come! Congratulations! Excited to see this vision of publishing positive news in Fort Thomas continue.